Rear Wheel Travel 130 mm / 5.1"
Street fighting attitude from sleek, eye-catching lines, and top-quality detailing. Thrilling real-world engine punch with cutting-edge rider-aid technology is just the start. There are hundreds of reasons to ride the stunning new Triumph Speed Triple S and the incredible top-spec Speed Triple R. The choice is yours. How to improve a legend? Take what’s great, and make it even greater. 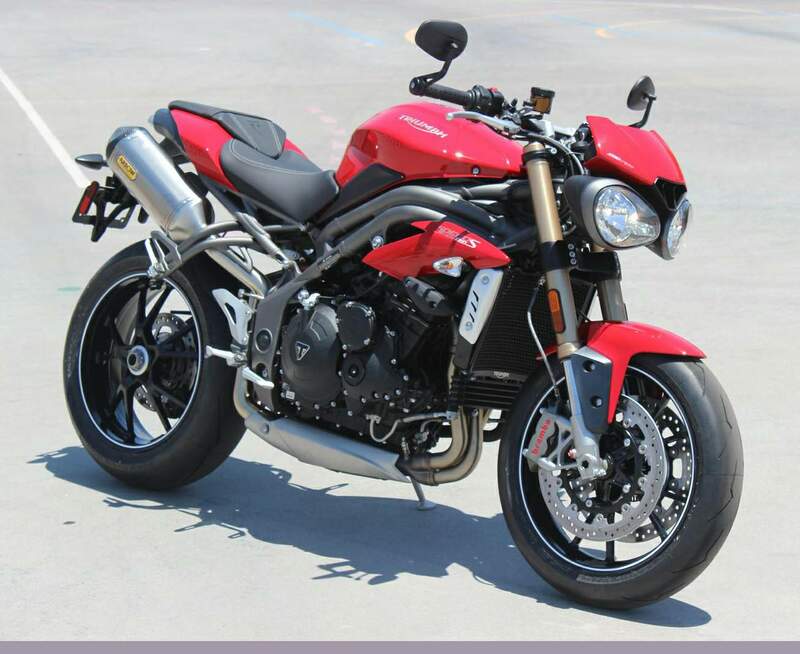 The new Triumph Speed Triple S has stunning streetfighter looks, combined with stick-to-the-road suspension, incredible braking and engine performance, packaged with cutting-edge rider-aid technology. For ultimate performance, try the new Speed Triple R, the inclusion of fully adjustable Öhlins suspension, carbon fibre bodywork and billet machined components, a true statement of intent. Together, the new Triumph Speed Triple S and Speed Triple R take real-world performance, character and style to a whole new level. Why?....For The Ride. The new Speed Triple S designed for maximum fun and maximum thrills with maximum attitude. 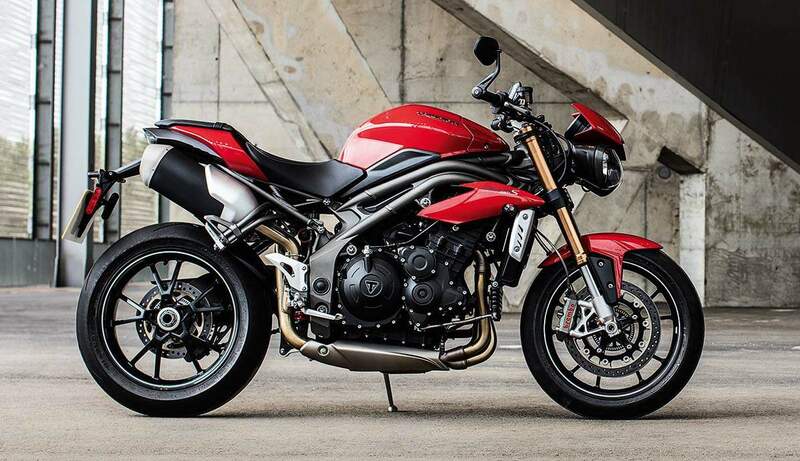 The NEW Triumph Speed Triple S and Speed Triple R take the legacy of the first factory street fighter to a completely new level in terms of performance, agility, power, handling and capability. 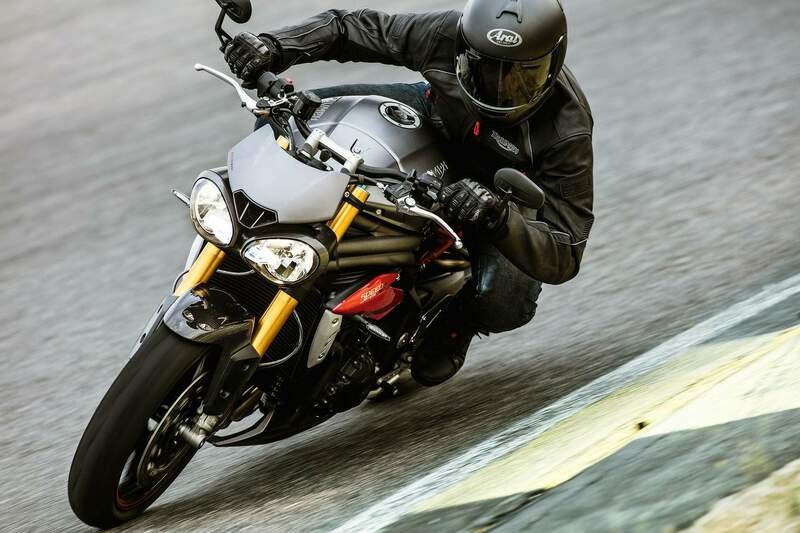 Centred around a new 1050cc triple engine, the new Speed Triple S and R redefine the naked performance roadster. The new engine features 104 new developments that combine to deliver more power and, more importantly, more torque across the whole rev range whilst still meeting Euro 4 regulations and delivering an increase of up to 10% fuel efficiency. These developments include a new combustion chamber, new cylinder head, a new machined crank, new piston design and new ‘Ride-by-Wire’ throttle bodies. Additional developments also include a slip assist clutch, smaller, more efficient radiator and a new free-flowing exhaust that has a 70% increase in flow rate. The NEW Speed Triple S and Speed Triple R also feature a suite of rider-focused technology. Among the features that add to the Speed Triple’s performance and capability are a new ECU coupled to a new adjustable Ride-by-Wire throttle with selectable throttle maps that increase the feel, responsiveness and control. There are now 5 distinct riding modes to choose from: Road, Rain, Sport, Track and a new Rider Configurable mode, that all allows the rider to set-up the motorcycle to the optimum performance relative to road conditions or environment. The new Triumph Speed Triple SandSpeed Triple R redefine the Speed Triple legend – delivering the perfect balance of power, handling, capability and character in two new performance roadsters designed for maximum fun and maximum thrills with maximum attitude.